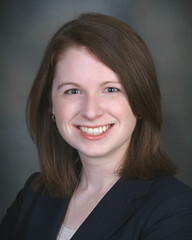 A lot has changed between then and now – I finished my MLIS, started my current job, published a book, and pursued some pretty interesting data-related research projects – but this blog has continued to be a wonderful project for me. 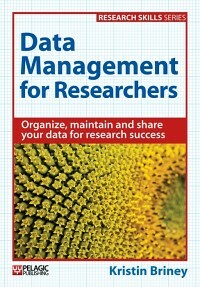 To celebrate, I’m giving away a softback copy of my book, Data Management for Researchers. I’ll even sign it for you! Details: Leave a comment on this post by 2018-02-28 describing your worst data disaster; the worse the data disaster the more likely I’ll feel you need my book. A winner will be chosen on 2018-03-01. United States only. One Response to It’s My 5-Year Blogiversary! I have two good ones to share. While working for a state government transportation department we had a disgruntled employee set a fire in the server room that triggered the fire suppression system and ended up damaging our NAS. When the Sys admins went to restore from the tape backups we found out that roughly 20% of all the tapes were corrupt. This personally resulted in the loss of about 8 months of work. The second was a disease specific genetic database that I developed and published. This resource was used extensively by the research community but went defunct after the group I was a part of dissolved and no remaining staff was willing to maintain the resource.